Britain was never at home with modernism. We are comfortable with the 1930s semi, the fag-end of the vernacular revival, made from builders’ pattern books. Hatfield, a new town, built during the 1950s, is now being extended in this style. It’s bad enough when town planners won’t allow any new buildings that jar with the Georgian or Victorian townscape, it’s worse when they allow Tudorbethan buildings in an essentially modernist town. My own town, St Albans, has few modernist buildings. In The Buildings of England, Nikolaus Pevsner singled out the Express Dairy in Branch Road, a good sub-Bauhaus building. The college of further education had a modernist extension that attracted a Civic Society award. Both sites have been converted to housing, the Express Dairy butchered but the college building thankfully preserved. Housing developments in continental Europe don’t defer to the past like ours and people live more happily in the present. The irony of the British desire to heritage everything, and to make every building look old, is that that it leaves no heritage of our own time. 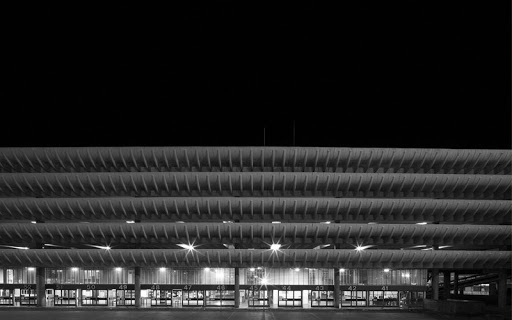 So I was pleased to see the mounting campaign to save the Preston Bus Station (top), an outstanding Brutalist building, designed by Keith Ingham and completed in 1969. It is faced with demolition by Preston City Council. All parties on the council want it to go, although the people of Preston recently voted it their favourite building. 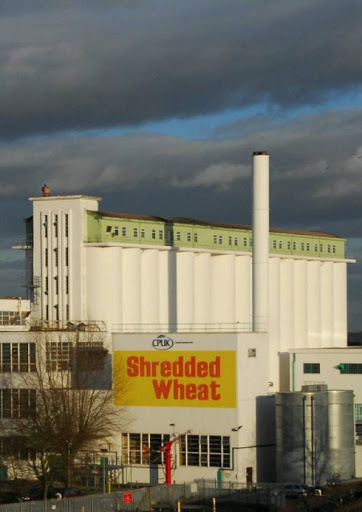 Unfortunately, it doesn’t work as a bus station, but less versatile modern buildings have been preserved – for example, the Shredded Wheat factory in Welwyn Garden City with its monumental grain silos (above). The bus station could certainly find a suitable use for the 21st century.